Huddle spaces are small meeting rooms equipped with multiple audio and visual technologies to help collaborate projects. Due to real estate now at a premium, huddle spaces are a lot more attractive to companies. Easy to us and quickly implemented, companies are now readily turning away from your typical medium to large conference rooms, and are turning towards huddle spaces. Small footprints, reduced cost of hardware, availability and replacement of traditional codec and large projectors. All you need now is an HD display, webcam, and connectivity between the display and table. Wireless presentation, and telephones with HD audio and built-in aec (automatic echo cancellation). . 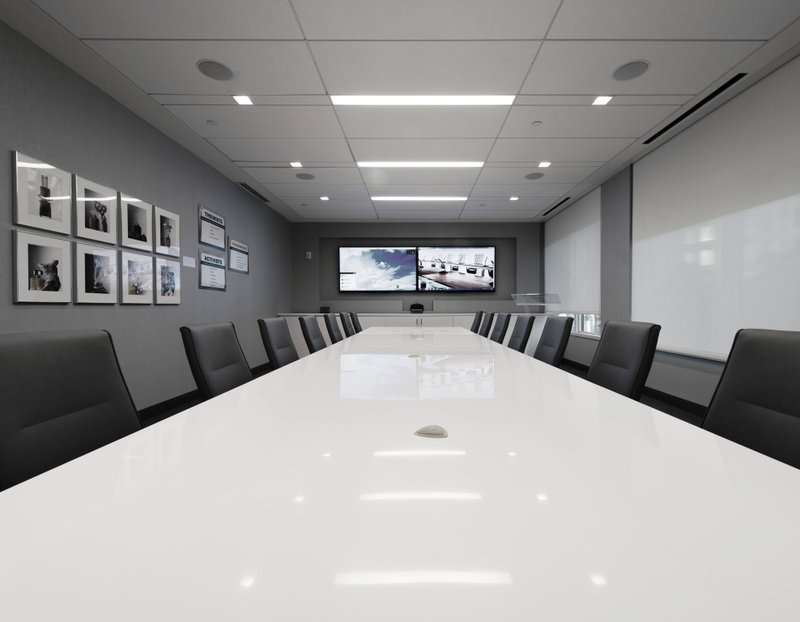 Automation of these huddle spaces can now be achieved without the larger, more complex systems traditionally used in a board room. Using Crestron’s new HD-400, users can automatically switch sources, scale, turn on display once signal is detected and turn off the display once a video signal is no longer detected. That all happens without the need of programming. Which dramatically reduces the cost of the room.